Eastern Dragon is a 5 reel slot by NextGen paying homage to the mighty dragon.The Chinese believe that the dragon symbolizes good luck prospects. This slot has bonus features like scatters, wilds and free spins. Minimal stakes start at 20p to £40 per spin. The oriental themed game also has traditional Chinese symbols like Chinese Lanterns, Ching gold coins, Koi Carp, lotus flowers, fireworks and more. NextGen chose to take an unpopular route where they licensed their games to bigger name brands which is not something most operators like Microgaming or Playtech do. NextGen games are available on platforms like Bally, Amaya, Aristocrat and other software brands. Their games are highly popular, but they are typically regarded as background slots for much bigger casino software operators because they have a lower standard in audio, graphics and other important components of a slot game. Popular NextGen titles include Dolphin Reef, Doctor Love, Medusa among others. Their slots usually include a mix of features that include scatters, free spins, bonus games and other unique additions that make the games stand out. For example, features like Slide-a-Wild in their Crocodopolis slot and the Select-a-Play feature in Unicorn Legend. The game is set in an ancient Chinese village with a backdrop of a Dragon wallpaper. The theme transports to the mystical dwellings of this legend where it roams and terrorises the villagers. The dragon leaves a trail of treasure clues behind comprising of letters and numbers all over the village. These clues are represented by the classic set of card symbols. Pick these up and win between 5x to 300x your stake. Other symbols have decent payouts if you can collect the maximum set of 5. Lotus flowers and fireworks pay up to 500x your stake. Chinese Lanterns will win you 1,000x your stake. Koi Carps have the highest payout of 5,000x your stake. Wild symbol- The dragon is the wild. When it appears on the 1stor 5th reels, he replaces all the symbols except the scatter, doubles prizes and activatesfree spins. Free spins include15 games where all prizes are tripled. Thisfeature can also be retriggered if you land the wild again on the same reels that triggered it. Scatter symbol- 2 to 5 scatter symbols appear in the game randomlyand pay you up to 100x your winnings. It’s got low to medium volatility, which providesfrequent smaller wins.It can be a little frustrating for someone who is used to higher paying slots, better bonuses, jackpots, and other bonus features. 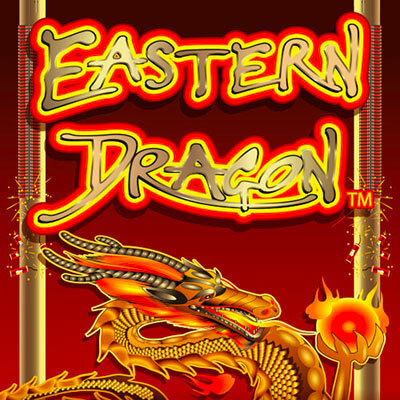 Try it out if you’re looking for a good beginner slot.Eastern Dragon is available on all mobile devices.